Obituary for Mary Lucille (Blackledge) Fox | Myers Funeral Home, Inc.
Mary Lucille Fox, 90, of Montgomery City, passed away Wednesday, March 20, 2019 at SSM Health St. Mary’s Hospital – Audrain in Mexico, Missouri. Mrs. Fox was born November 4, 1928 in St. Louis, Missouri, a daughter of William Thomas and Stella Barbara (Jankowski) Blackledge. On August 10, 1946 in St. Louis, Missouri, she married Wilbur William “Bill” Fox. He preceded her in death in October 2002. Mary had lived at her home in Montgomery City since 1976. From 1950 – 1976, she had lived in Berkeley, Missouri. She was a homemaker. 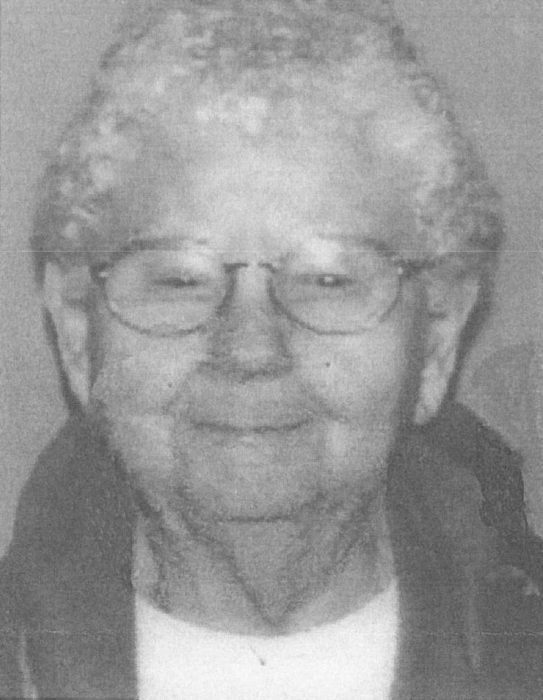 Mary had worked at Gamma Road Lodge in Wellsville for 10 years in the housekeeping department. Mary loved St. Louis Cardinals baseball and Mizzou sports. She enjoyed cats and liked watching the hummingbirds. Mary is survived by her son, James Michael “Jim” Fox, of Montgomery City. She was preceded in death by her parents; husband, Wilbur William “Bill” Fox and two sisters, Alice Lorraine Thorpe and Wilma Carroll. At Mary’s request, she was cremated and there will be no services. Memorial contributions are suggested to the charity of the donors choice c/o Myers Funeral Home, 203 East Bates Street, Wellsville, MO 63384.